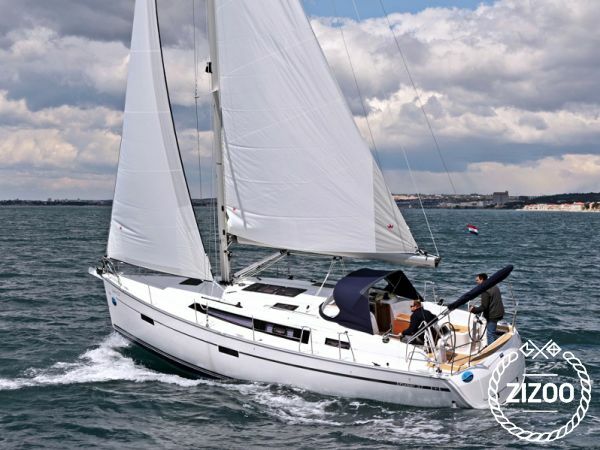 The Bavaria Cruiser 37 was built in 2014 and is a fantastic sailboat for your dream sailing holiday. With 3 cabins that accommodate 7 guests, this boat is ideal for a party boating adventure with friends or a family holiday. A gorgeous sailboat, she is both practical and inviting. This boat is located in D-Marin Marina Dalmacija (Sukošan) and is the perfect vessel for exploring the beautiful coastline in Sukosan. The Bavaria Cruiser 37 is a fantastic model that is a luxurious and sleek choice for your next sailing holiday. The sea awaits, so start booking now!. Ein Anbieter dem wir vertrauen konnten! Es wurde nichts versprochen was nicht eingehalten wurde. Die Yacht war in einem guten Zustand und es gab keine Probleme. Requested 106 times this week!